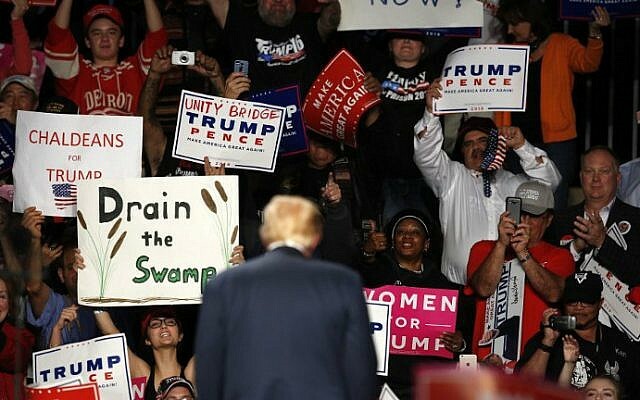 KENT, Ohio (AFP) – Donald Trump and Hillary Clinton traded fierce campaign trail attacks Monday, as the Republican underdog barnstormed Democratic territory in the race’s final week and warned of a “constitutional crisis” should his rival win the White House. Eight days from Election Day, the contumacious billionaire and the scandal-hit Democrat followed in the spirit of the bruising 2016 race by spending more time branding the other unfit to lead than they did highlighting their own strengths to voters. 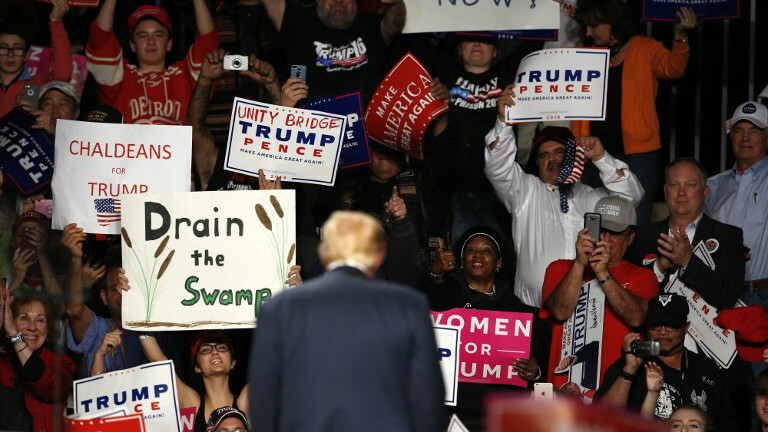 Trump, aiming to disprove polls that show him trailing nationally and in key swing states, campaigned in Michigan, where Clinton has led every poll since the race began, hoping to capitalize on the controversy over the FBI’s renewed focus on his rival’s emails. Allegations that Clinton put America at risk by using a private email server while secretary of state were thrust back into the spotlight Friday when FBI director James Comey said the bureau would study newly discovered messages that may be related to Clinton. The bombshell announcement could shift the momentum in a race where Clinton was increasingly seen as the prohibitive favorite. 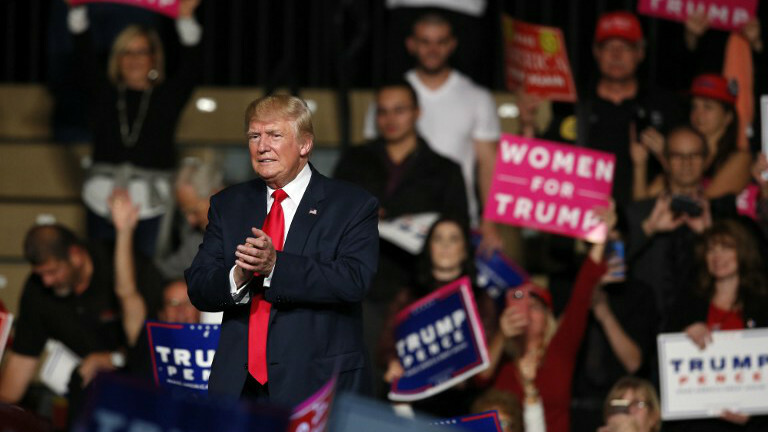 But a new NBC News/SurveyMonkey weekly tracking poll released Monday showed virtually no change in standing following the revelations, with Clinton maintaining a six-point lead over Trump, 47 percent to 41%. Clinton, furious at Comey for making his announcement without providing evidence of wrongdoing just 11 days before a national election, addressed the issue head on in Kent, Ohio. “Now they apparently want to look at emails of one of my staffers. And by all means they should,” she told a rally in the crucial swing state. He predicted that “we would have a criminal trial for a sitting president,” and chastised Clinton for seeking to blame others for the scandal that has persisted for 20 months. “She has brought all of this on herself,” he said. 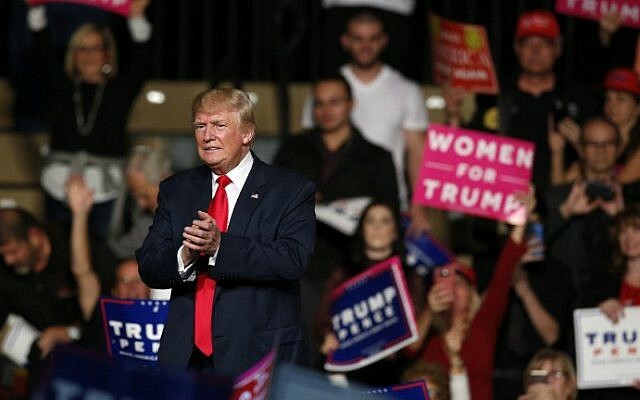 Trump campaigned Sunday in Democrat-leaning Colorado and New Mexico, and held a rally Tuesday in Wisconsin, where Clinton’s lead is 5.7 points, according to a RealClearPolitics poll aggregate. University of Virginia politics professor Larry Sabato said the FBI development has changed the race’s dynamics. Nevertheless, Sabato distilled the Trump strategy to a simple truth: he needs to flip at least one Democratic-leaning state on November 8 in order to win. 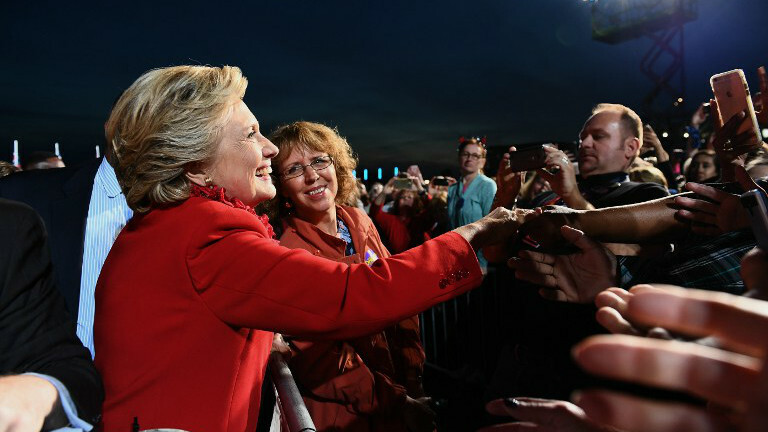 Clinton, 69, hit the campaign trail hard Sunday in battleground Florida, where Trump has clawed back into a half-point lead, according to RealClearPolitics. A Florida victory would be a lifeline for Trump. Defeat there would almost certainly see him coming up short in the overall race. 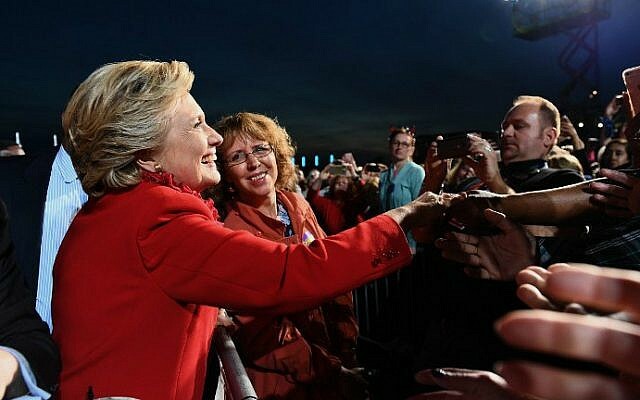 On Monday in Ohio, Clinton assailed him for using scare tactics to keep Democrats and left-leaning independents from trooping to the polls. “His whole strategy is to suppress the vote. Lots of noise, lots of distractions. Throwing stuff at me,” she told diners at Angie’s Soul Cafe in Cleveland, where she made an unannounced stop. Clinton’s campaign was badly jolted when Comey announced that his agents are reviewing a newly discovered trove of emails, resurrecting an issue the candidate hoped was behind her. Her response has been to hit out at the move as “deeply troubling” and to rally supporters to get out and vote. President Barack Obama’s first attorney general, Eric Holder, issued a blistering opinion piece on Comey’s actions in Monday’s Washington Post. Comey “made a serious mistake,” Holder wrote. According to US media, the probe was renewed after agents seized a laptop used by Clinton’s close aide Huma Abedin and her now estranged husband Anthony Weiner. The disgraced former congressman, who resigned in 2011 after sending explicit online messages, is under investigation over allegations he sent sexual overtures to a 15-year-old girl. Clinton campaigned Monday for a third straight day without Abedin by her side.